This option is only visible when ‘Options > Upload > DigaMailbox’ is checked on. Select it to send the audio file to your David system. 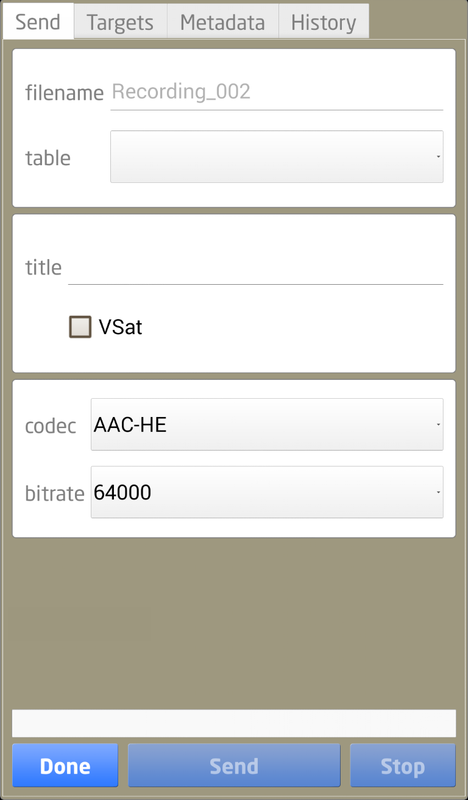 Here You can define the Metadata, Target and codec format to be send. The History tab shows previous sends. If you have completed all fields you can then choose Send to publish it.